Okay, I’m on board this month with poetry! It’s day 3 so I’m running behind. Here’s the Day 3 poem from Poets.org. I know it’s April because magically, every morning I get a poem-a-day from them dropped to me via email. Usually I feel guilty that I’m not really participating so without the usual guilt, I begin.. The arch in the bridge. The moment of architecture. where the land becomes reminiscent of dissolving of flesh. are supposed to be. The frightening blanks where the stores were. in neighbor’s houses. The mounds with hooves and bones sticking out. digging into the thaw. The former newness. The various cuts of meat. that sets in when you leave. Finally my mother put her foot down and refused to keep spending summers there. We didn’t care anymore. All of us were also ready to move on. I was quick to shut off my present at Oakwood Cottages. Just part of my awkward teenage past. My grandparents held on, until they were too old to travel even the 7 miles from town. And finally it was sold as part of the family inheritance to the present owners, who waited patiently for it so they could own both sides of Briggs Highway. I did not want to go home again but Tuvia needed a piece of my past. thanks for the beautiful words – my memories of oakwood cottage summers are fresh and always sweet. Little Barbara Kaplan here. In Virginia with my husband and children. Had my dad’s unveiling today. Both folks are gone. Mom first and then dad 19 months later. This photo and the great words are just what I needed today. My best to you and all of your family. I was searching Oakwood Cottages after being in touch with Ruth Diamond and saw your posting.We are talking about having a Oakwood Cottage Reunion. How are you? Sorry to hear about your parents. My dad died many years ago but mom is 91 and still living in Ellenville in the house we grew up in. My aunt and uncle live across the street. I live in Massachusetts with my husband- we have 2 step-children and a grand-daughter, Would love to hear from you- I am on facebook and my email is elainekapperman@gmail.com I was Elaine Pressman..
@ Wow Terry and Barbara, the same day. So glad that you stopped by to check out my site. All good here in Nyack, NY but my parents and brother Jeff and his family still live in Ellenville. He’s the mayor and a great guy. Still funny but calmer, sometimes. My parents are still here in their house,our house. I am retired as a full time teacher but I work as a Director of the Hudson Valley Writing Project at SUNY New Paltz. Great. although i was a kid at oakwood my memories are vivid. i have been back over the years and showed the bungalow to my husband and kids. thanks for sharing the picures and thoughts. Hi- I’m here,too! Good to here from all these names! Sorry it’s taken me so long to respond —– Alex and I have the most wonderful memories of summers at Oakwood —- our children still speak of it with fond memories (Michael & Jeri) ( Susan was too young to remember)Estelle and Sandy Horvitz and we take a ride up there every summer or two.We’ve met the Russians some years back and last time we were there –there was a chain and a sign No Trespassing. We are planning our next ride up within the month —– hope we find someone there ! We live in Fort Lee,NJ perhaps our paths will cross again someday ?? I use to rent buses to your uncle Sam (Meta) is he still around? We spent many happy summers at Oakwood Cottages. 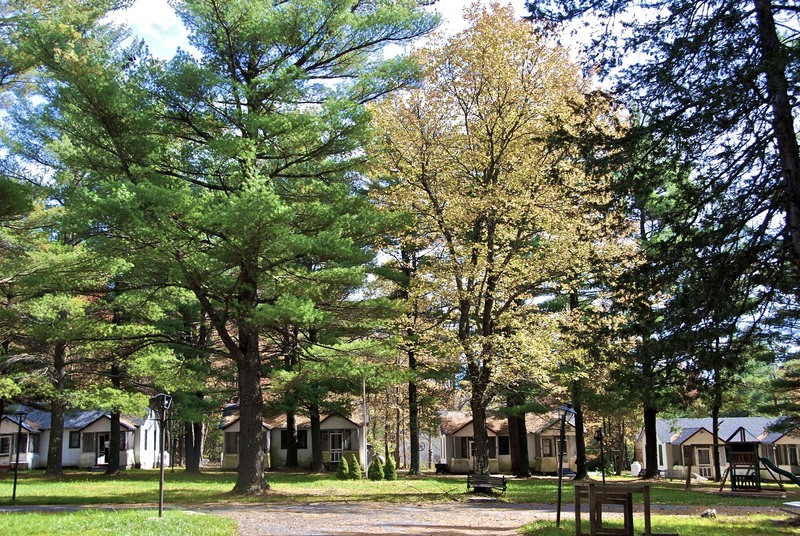 My father, Marvin Halpern, who recently passed away, was the camp director in the late 1950s – surely anyone who was there in those days will remember him. I recognize many names from the posts above – the Salits (Hi Gloria and Alex), the Kaplans (Hi Barbara and Bonnie! ), the Horvitzes (who we still see regularly). Good memories from my childhood here. Think about those days often….. I went to oakwood cottages . My family went for many summers. The Gibsons , Horvitz ‘s, and theNathanson clan. Wonderful family. Great to see so many family and friends who have visited this blog. They were fun summers from a long time ago!